I know of a classic case where a Chinese male swooned over this English classic, the 1847 Wuthering Heights, the one and only novel written by Emily Brontë who wrote it under the pen name of Ellis Bell. Apparently, he loves the novel very much, often saying with much gusto about how passionate this story on the thwarted love between Heathcliff and Catherin Earnshaw was. 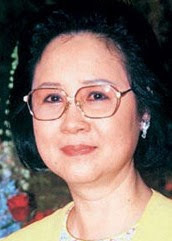 Talking about passionate love stories and thwarted love, there were many in the works of a popular Taiwanese romance novelist, Chiung Yao or Qiong Yao who published her first novel at the age of 16. One doesn't have to read her books at all to be exposed to her works for many of them have been made and remade into movies and TV series since the early 60s. 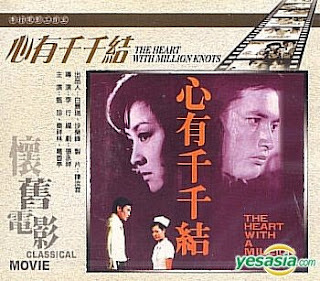 I remember watching former Asian Movie King, Ker Jun Hsiung playing the insensitive husband to a mute and deaf woman in the 1965 The Silent Wife on DVD and remember clearly too watching former Asian Movie Queen Chen Chen as the headstrong nurse who fell in love with her employer's son, played by Charlie Chin Hsiang Lin in the 70s hit Hearts with a Million Knots in the local theatre. The weepy series A Misty Affair, starring doe-eyed Liu Xue Hua and former Taiwanese heartthrob Chin Han must be aired in local TV in the mid-80s; for I remember watching some episodes in my landlord's house in Old Town, Petaling Jaya and then of course in the early 90s and late 90s, there were qing qing he bian cao and Huan zhu ge ge. 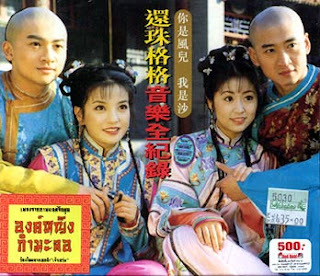 Huan zhu ge ge aka My Fair Princess was immensely popular and the series which was a joint venture between Taiwan and Mainland China propelled four of its main leads to super stardom, most notably Zhao Wei in eastern Asia. 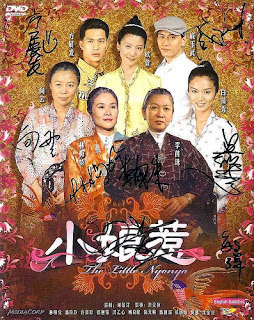 The first season which debutted in 1998 became a region-wide phenomenon, winning over legions of fans inMainland China, Hong Kong, Taiwan, Korea, Malaysia, Singapore, Vietnam and even Thailand. The second season broke China's TV record with the highest ratings ever, achieving almost 50% viewership in all local TV stations. With all the legions of fans and record breaking feats, it was thus surprising that the Chinese man I mentioned earlier did not swoon at all with Qiong Yao's work. In fact, he found all Chinese love stories stupid; that's why I thought this is a classic case! 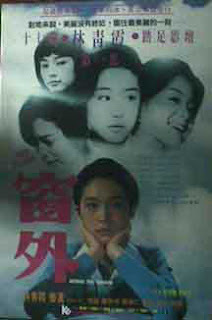 For more of the films that had been adapted from Qiong Yao's work, click Qiong Yao. I knew that Emily Brontë wrote at least some novels. Love stories. There were different films in our TV. I don't like these sort of books but the films are normally not bad. Emily, I read wrote just one novel. Her sisters wrote the others, I suppose. It may be, I know not so much about these writers.